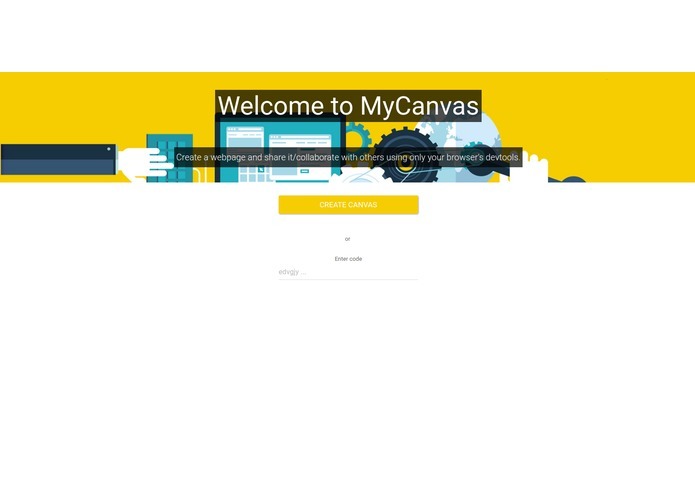 MyCanvas gives you a blank slate to start and build something amazing using only a web browser. 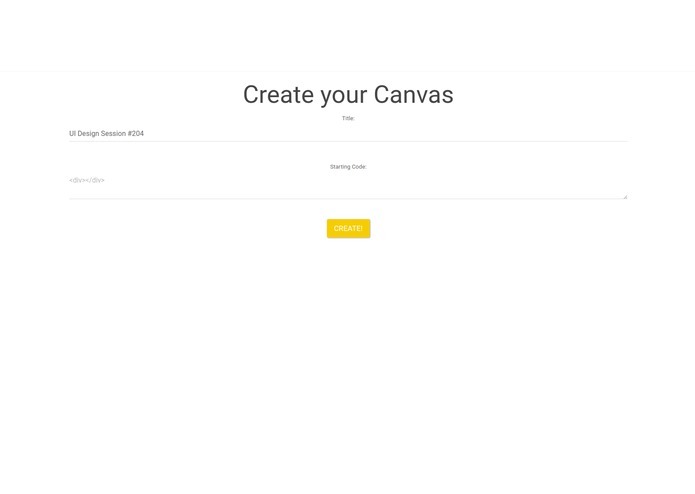 MyCanvas gives you a blank slate to start and build something amazing using only a web browser. 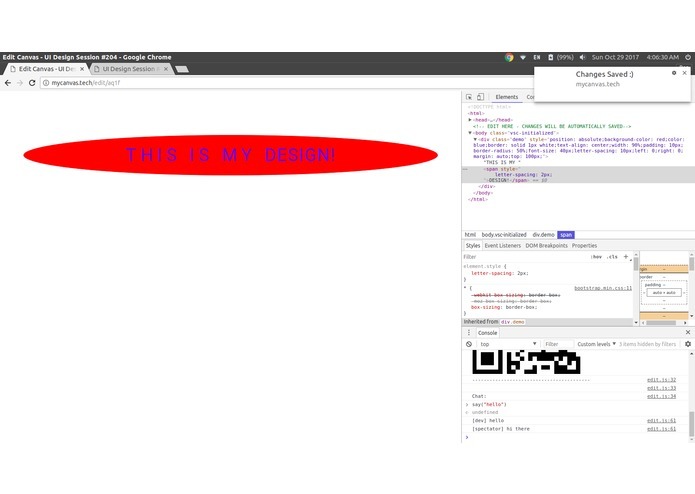 Once you create your canvas, you are prompted to open the developer console for your web browser. From the console, the user is able to easily allow others to spectate their canvas and chat with the spectators. They can then use the HTML/CSS view to edit/create the webpage, and the spectators will be shown the changes in real time (in addition to it being backed up on the server). Designing a part of a website for a client. 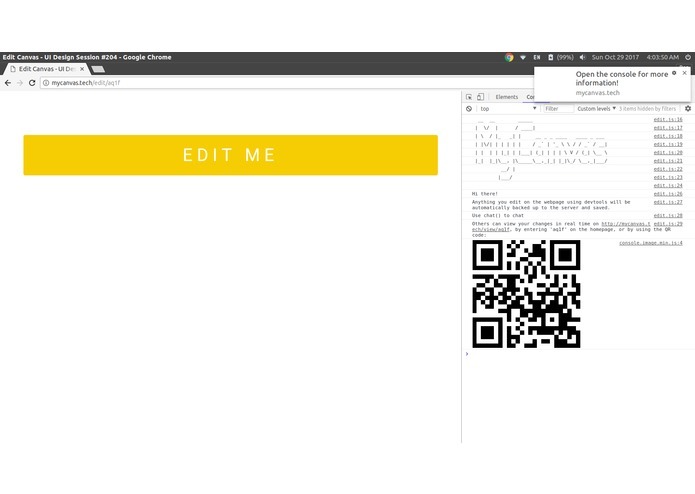 Communicate with the client via the chat functionality and get real time feedback as you change the page. Testing a webpage on multiple devices. Because the changes are synced automatically, there is no need to mess around with getting code onto different devices. 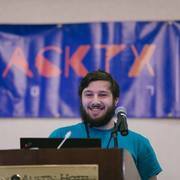 JSFiddle alternative: We use devtools all the time to make small changes and hacks. This is a good way to show all of them off. I'm Ben! I do web development!